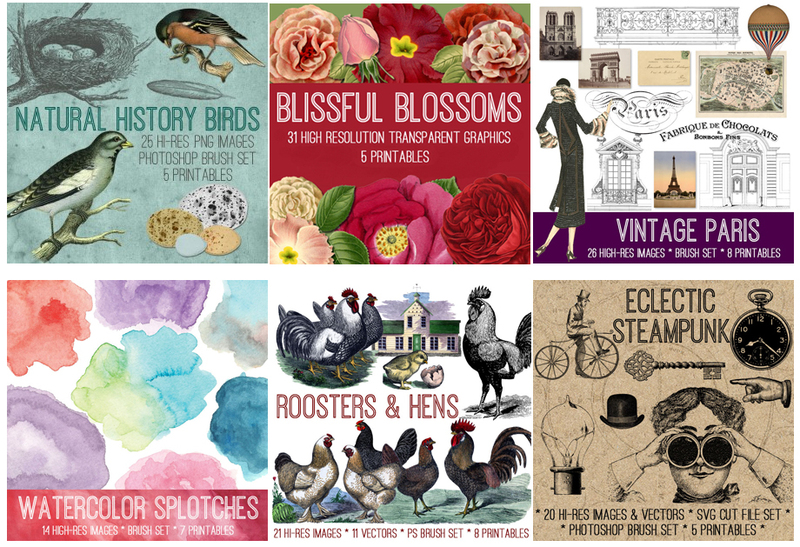 Want this bundle + 99 More?! 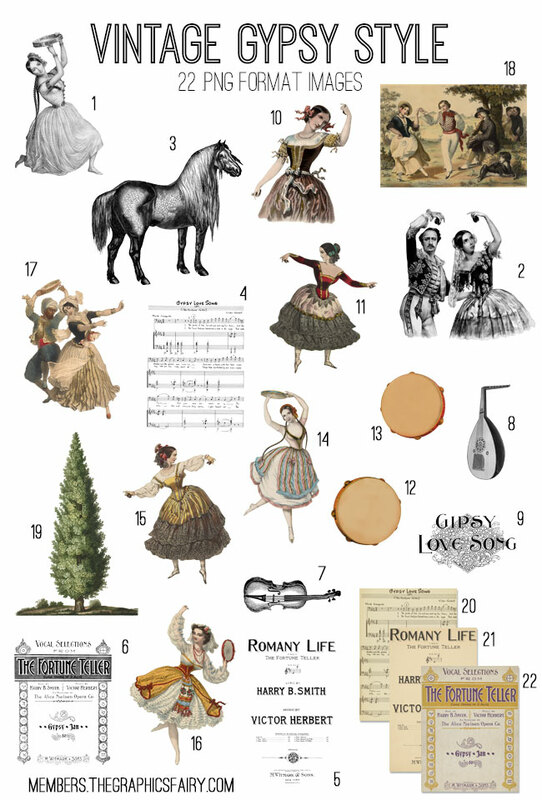 I can hardly believe it but this is our 100th Kit!! Woohoo!! 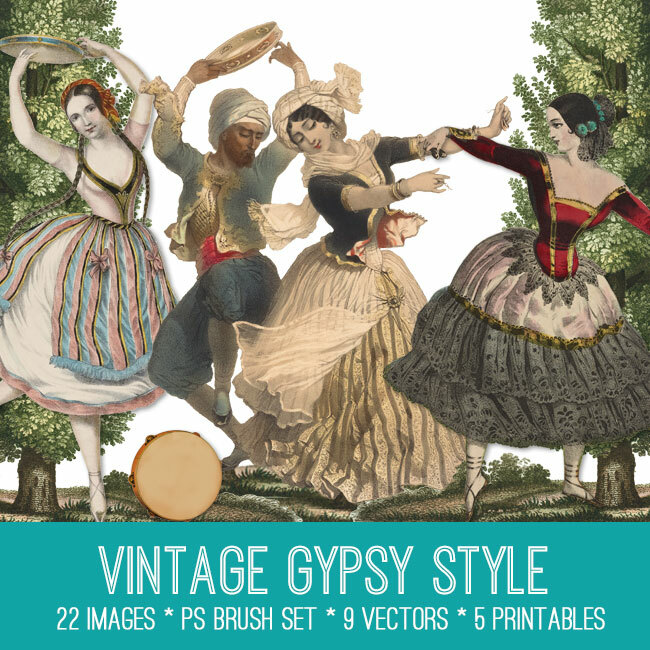 In this collection we are offering 22 High Resolution Vintage Gypsy Images! 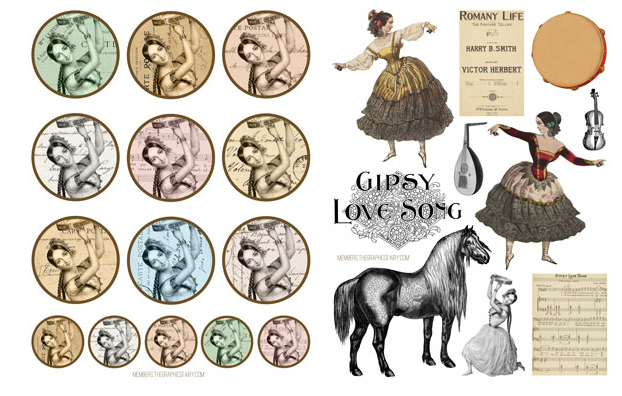 For those of you that prefer Print Ready options, we are offering 5 fabulous Printables including Printable Postcards and Gypsy Collage Sheets! 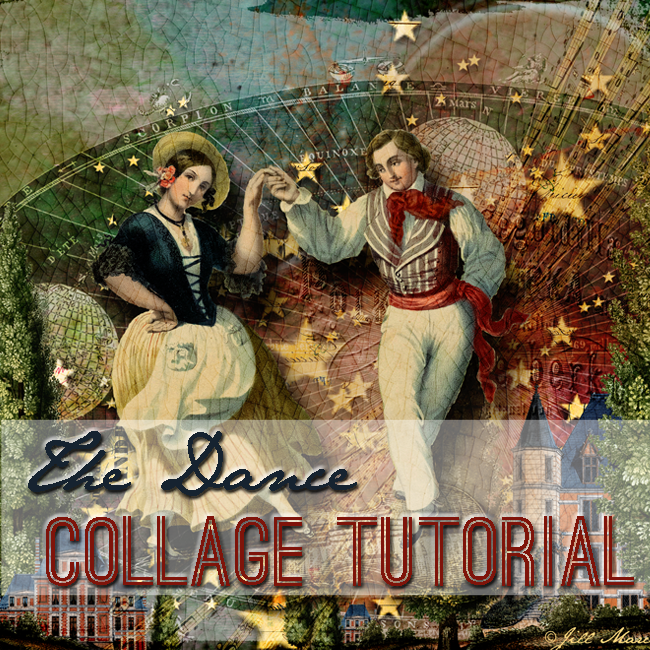 For our Photoshop Elements Tutorial this week, Jill Marcott McCall shows us how to Create a Gorgeous Dance themed Collage! 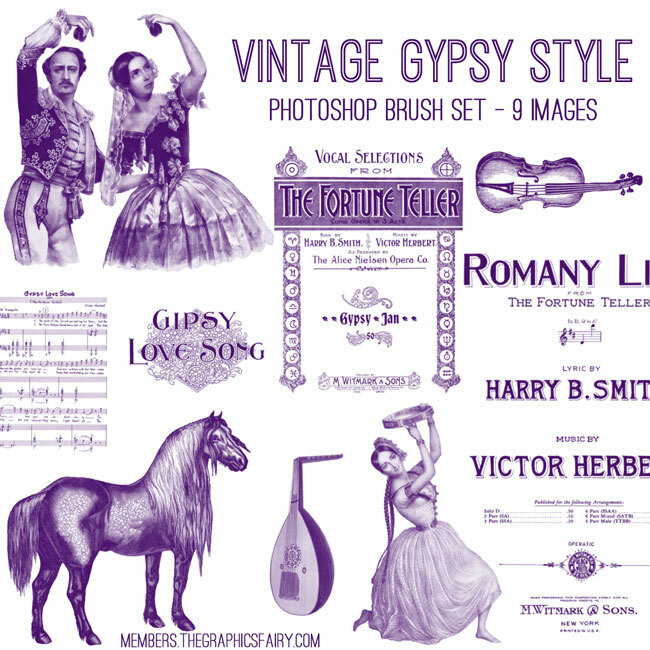 And 65+ Amazing Photoshop Elements Tutorials, to teach you new skills for working with Vintage images in your art! 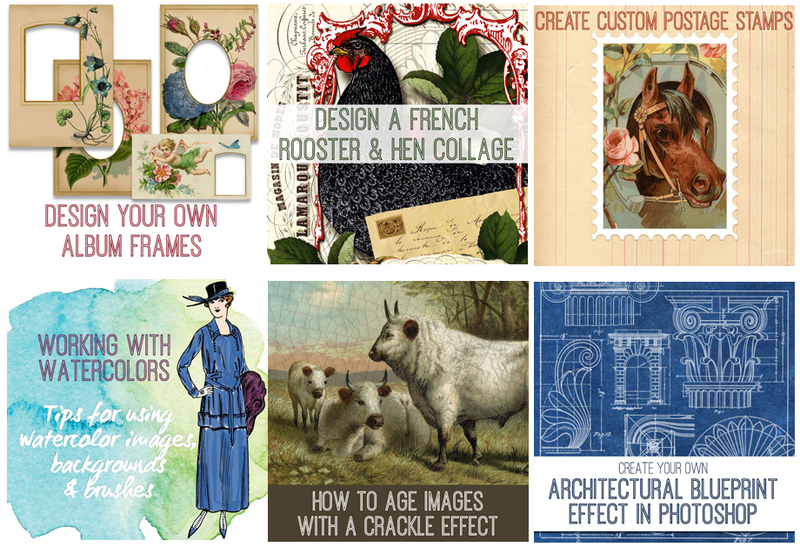 That’s over 6100 files and 100 kits!! !